I thought usually a Note is a Note, a Tab is a Tab, but a Tab which is just more than a Tab with an amazing graphics, isn't that cool! I thought that a Tab wouldn't have a mind of its own, but looks like the developers of Dell Venue 8 have thought beforehand each and every step. “Even when we download Games and start playing, we have an option of Remove Ads” which I thought was cool for super annoying ads coming in between. There’s a difference in playing a game on your smartphone, and playing on Dell Venue 8 which has Android 4.3 and runs on Intel Atom Processor. Weighing just 372 grams with built in storage of 16 GB you can carry and play as long as you want to and with amazing colors on screen. 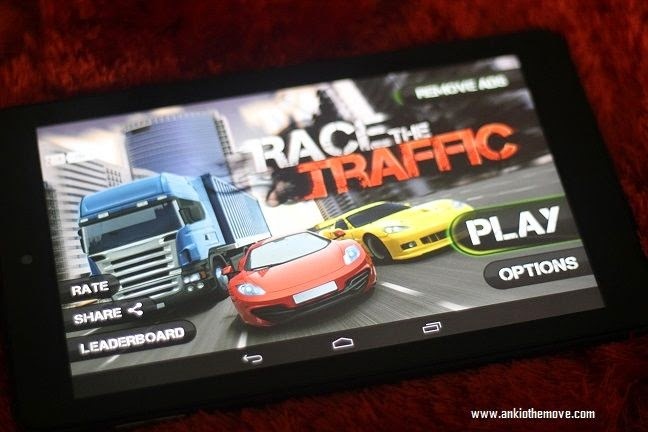 I downloaded two games for the start; one was Hill Climb Racing and Race the Traffic, both of which were free. A lot of games are in fact free. A lot more comes at a nominal cost. The advantage is the wide screen and the brightness which is suited to your eye. So you can play as long as you want to, without having to strain your eyes! Just don’t forget to blink now and then. You can choose the icon which says “Play Games” and download as many games as you want. Since Dell Venue 8 is touchscreen, things become easier and faster. Another interesting feature about Dell Venue 8 is the number of Apps which are pre-installed. For example, Google play music, all you have to do is connect with a USB Cable and copy the music or downloads it from the net and start listening. You can complete action of downloading using either Browser or Chrome. For each popup that comes as a selection we have an option such as “Complete Action Using - Browser - Chrome and Then Always - Just Once” Select Always or Just once, and you know where you Dell Venue is going to start from next. In the App of Photo Editor we have an option of Crop (Puzzle), Compress to Zip, Create PDF, Animated GIF or webpage capture which in itself is very unique. So now you can compress your pictures, crop them into puzzles, animate them into GIF’s all that in a single Dell Venue 8.You can also delete all your recent photos by just a click. Another App which is pre-installed is the Facebook messenger that says reach friends wherever you are mobile or web. While chatting you can include your location or exclude it, it’s your own personal choice.